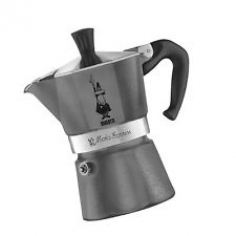 The Bialetti Moka Grey Emotion (3 cups ). From the early 1950s to the present day, Bialetti has manufactured over 200 million coffee makers. 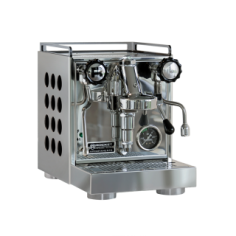 In particular, the Moka Express has become iconic and has allowed millions of consumers to enjoy great Italian coffee.The Moka produces a rich, authentic espresso in just minutes. The aluminum pot features Bialetti’s distinctive eight-sided shape that allows it to diffuse heat perfectly to enhance the aroma of your coffee. 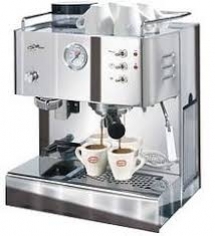 Do you want to save some extra cash and enjoy your own beloved coffee with your machine? Our espresso lids are in special aluminium foil, This patented design allows pressure to build up inside the capsule during brewing. The result? 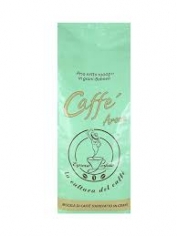 Great Crema with Infinite choices of Different Espressos! If you drink espresso multiple times daily, you want a refillable pod that's easy to use and saves money. We think you'll be pleased with EP pod's. For less than a prefilled pack of capsules (50 count) costs, you can have capsules that will last a lifetime & Use your own coffee. EP pod's comes with capsule & easy-to-use lids. • Reusable, refillable EP pod's compatible with most OriginalLine coffee pod machines. Capsules are in food grade stainless steel. • Adhesive Free, EP pods lids are plain aluminium, no adhesive or sealants used which eventually leak traces to your cup of coffee during brewing! • Environmentally-friendly stainless steel EP pod's capsules will last a lifetime. Our food-grade lids are recyclable. 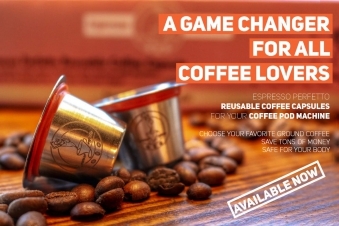 Now you can enjoy your coffee without feeling guilty about the environmental impact of disposable capsules. And you'll still enjoy the convenience of your machine. • Safe for your body: Plastic free, EP pods has no plastic parts, Don’t brew espresso through hot plastic! Use the safe stainless steel capsules. • EP pod's refillable capsules will not absorb the taste or color of different espresso blends. • Patented design is perfectly safe to use with your machine when used as directed. 1. EP pod's refillable capsules internal surfaces are specially treated for easy release of coffee pucks after use, just with a light knocking on the bottom with any wooden object will simply empty the capsule. 2. The EP capsule is supplied with plenty of Aluminium lids, specially designed for ease of use and protection of the capsule gasket for a longer life as well as protecting your machine.Never use cheaper Aluminium lids, it will slowly damage the machine and gaskets. 3. During the closing of the machine latch, it might feel a bit harder than usual, this is very normal, the EP capsule height is slightly shorter than standard, this is to protect the machine piercing spikes which will not touch the capsule bottom, EP capsule does not need the piercing function. 4. Use coffee from EP that is specifically ground for the capsules , the capsules needs coarser grinding than traditional espresso machines.Use the spoon bottom for very light tamping after filling, the capsule should be full to the top.If the flow during brewing is dripping or blocked, this means grinding is too fine or tamping was too hard. 5. Use 2 capsules simultaneously for a double shot, the EP capsule is designed to accommodate 5.5 g of coffee, and this quantity is for a single shot.6. 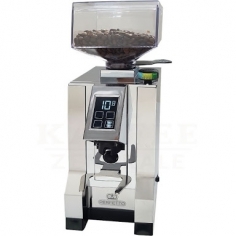 The EP capsule is made of the best quality stainless steel used for food and pharmaceuticals, it does not stain, rust or react with the coffee and will last for very long time. 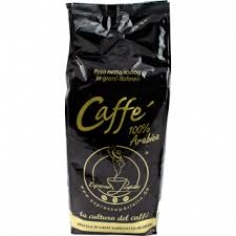 Espresso Perfetto 100% ArabicaThe black pack from Espresso Perfetto!This blend is a 100% Arabica of different origins of the best quality beans, with intense flavor and strong aroma to brew a full body and smooth espresso and other coffee drinks, a must have at home for genuine coffee lovers.Suitable for all professional and automatic machines.Italian originVented 1 kg package.